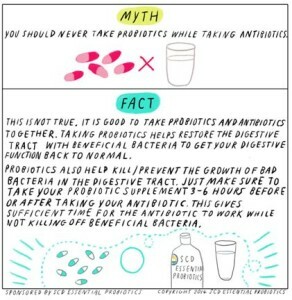 PROBIOTIC MYTHS – PART II. With it being cold and flu season, we think it is especially important to address this next myth in our mini blog series. If you have recently taken an antibiotic, take heed. Taking an antibiotic may deplete the good bacteria in your gut along with the bad bacteria that needs to go away. This is where probiotics come into play. 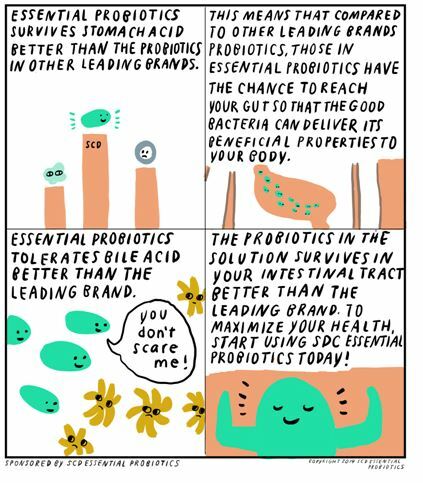 Read the graphic below to learn about why probiotic supplementation may be especially important during and after you take a probiotic. 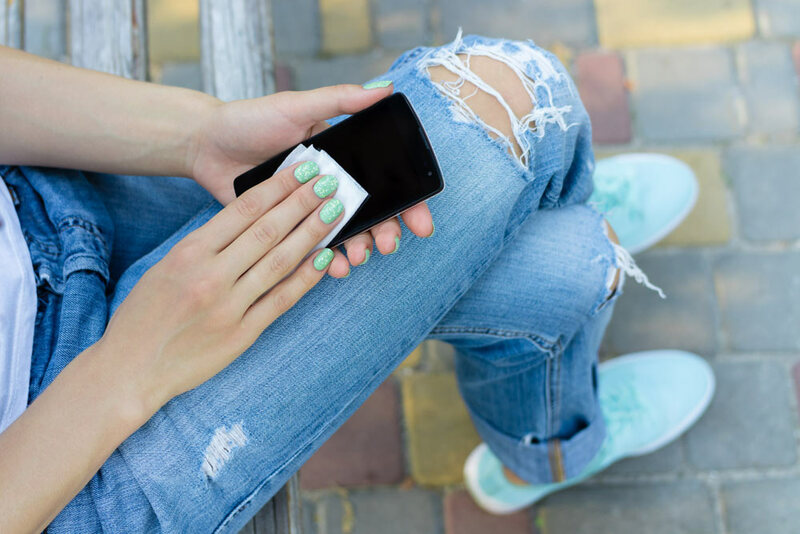 If you thought that was cool, join us soon for part three of this educational mini blog series. Because we live in a world with access to such an overabundance of information, it can be especially hard to decipher what is accurate information – the world of probiotics is no difference. 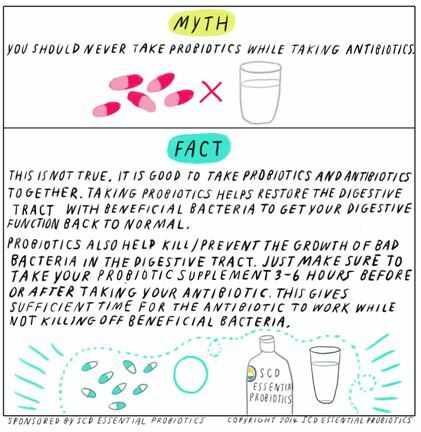 That said, we are presenting this short series of blogs designed to dispel some of the most common probiotic myths. While unpasteurized yogurt is in fact a good source of probiotics, it often isn’t enough on its own. As a rule of thumb, it is important to remember that you have to eat lots of unpasteurized yogurt and other fermented foods to get enough of the probiotic benefits desired. 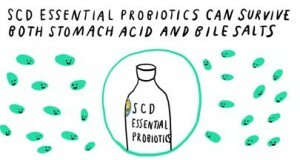 More specifically, unless yogurt states on its label that it contains live and active bacteria, all of its probiotic benefits are nonexistent due to the pasteurization process. While you can get probiotics from other great food like kimchi, it is extremely challenging to get all of your good probiotics from just eating these foods. 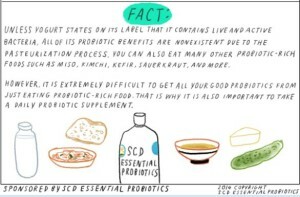 That is why we recommend supplementation, in addition to eating nutritious, probiotic-rich food. Tune in next week to learn the latest probiotic myths.